This must-have Concealer Wand is essential for precise, on-the-go coverage – masking blemishes, dark spots and under-eye circles with the simple flick of a wand. The emollient-rich formula means it won’t look caked on either – yet the coverage it delivers is second to none. There’s a wide range of shades on offer, whether it’s to mimic your skin tone to camouflage imperfections, or correct redness and pigmentation. A trusty make up bag essential if ever there was one – and affordable to boot. 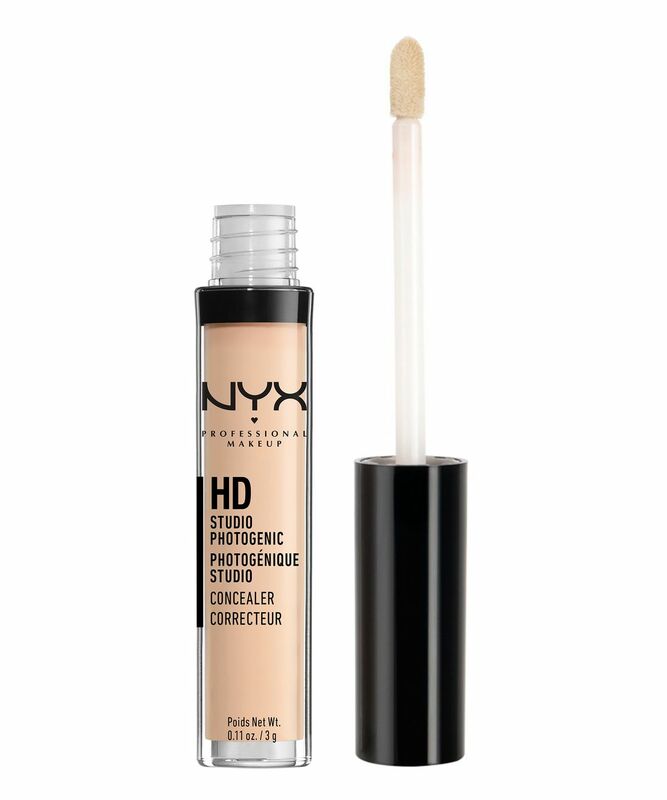 This hardworking yet lightweight concealer is a bestseller for NYX Professional Makeup and for good reason – it has a blendable formula that offers full coverage without creasing or drying. 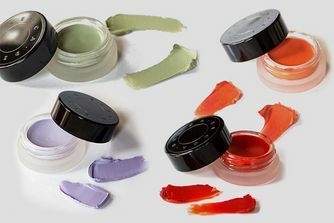 Plus the shade range includes a varied collection of nudes (including ‘Beige’, ‘Fair’, ‘Tan’ and ‘Porcelain’) as well as colour correctors such as ‘Green’ to disguise redness, ‘Lavender’ to brighten any dullness/ashiness and ‘Yellow’ to neutralise purple tones such as undereye circles. And all at a purse-friendly price point. Use on freshly cleansed, moisturised skin. Using the wand delicately dot over areas you want to conceal or correct (for hygiene reasons, we recommend washing the applicator wand immediately after use on blemishes). Blend with fingers or a brush. I took the BEIGE shade but I think I could've easily got the lighter shade. It turns out it oxidizes and turned out the be ORANGE! (hello?) 0 coverage (and I am not looking for full coverage but this one is useless). With a beauty blender, you CAN'T apply it (it dries too much quickly and blend awfully) the best way is a brush but tho, I'm gonna give it away. Cheap price = cheap product = waste money (for this product) go for something else. I have not very visible blue circles under eyes, and my wet n wild concealer did good with them, as it finished I decided to try this in porcelain shade. I don’t like it at all, it’s not masking at all, no effect. It ran out quickly and I've noticed I'm not the only one with this problem. I was so impressed with this! It is creamy but not thick and has great coverage. I genuinely prefer it to my NARS creamy concealer and it's less thick. Definitely worth buying this product! Caused me breakouts and was very drying and the applicator felt very rough on the skin. Heard rave reviews about this product but was massively disappointed. Got the palest shade which oxidised to quite a dark orange on me, not the easiest to blend as its quite a dry texture so ended up creasing under my eyes. The tube seemed to run out really quick too and I only use a tiny amount. Definitely better budget alternatives. I have had better and I have had worse. The coverage is light/medium and the blendability is perfectly fine. I found mine ran out really quickly though and I wouldn't say that I used it excessively at all. For a budget concealer I still much prefer the collection 2000 concealer, it has much better coverage and is more long-wearing. Guess I expected such low quality for such a cheap price. The packaging is poor, the wand applicator is uncomfortable on the application and then I chose the tone ‘light’ which looks orange and not light at all, not happy. I purchased this concealer as a stop gap whilst I was waiting for my usual Mac select cover up to be delivered. At only £6 this is great value for money and does the job just as well if not better than the Mac, I was really impressed! This will be my everyday concealer from now on, so glad I tried it. Great pale concealer + cheap too! The shade Alabaster is the lightest in the range, far paler than porcelain. My skin is very pale neutral toned but I was worried this seemed too yellow-toned in the tube. Once on the skin, it almost seems to blend into your own skin tone, and it's one of the lightest concealers I've used. It's perfect for brightening up under eyes and does a good job on spots too. I find it is a little drying so thoroughly moisturising and exfoliating is essential before applying. My only criticism is that it did not last me two minutes!! There is only 3g in the tube which is really nothing, however the fact it is cheap means you don't feel as guilty repurchasing. Overall I would recommend! This concealer is as good as some high end concealers. It has a creamy full coverage end result. I would highly recommend as it covers well. I am medium to tan skin tone and use the shade beige. The green concealer is a very good shade for cancelling redness (slightly more of a muted green so not too hard to blend it). Doesn't offer any coverage (slightly runny consistency for a concealer), but it's not really a problem. I got the yellow for under eye concealing action. I'm not too sold on the coverage, but the tone is great - perhaps I'll like it better in a week with more sleep? Yoo yellow undertone. Not good for very fair skin even the lightest shade. Too heavy, too thick and dry for me. And absolutely noticeable — isn't something I expect from a concealer. Coverage is okay, but I don't have big problems with skin and don't have too dark circles. Would not recommend to anyone and would never buy again. The product ran out after about 5 uses, it seemed very chalky and dry. Not the best drugstore concealer out there. The tube ran out very fast and the coverage was pretty sheer. They're are better concealers out there that don't completely dry out your skin but are still very cheap. Good cover, easy to blend, and stays put. It's an okay concealer. I got the shade alabaster which was a bit darker then I expected and I can't use it on my foundation because I'm very pale, so that was disappointing. I love love love this concealer! I suffer rest bad with dark circles around my eyes! I literally use one spot under my circles and blend it in, it works really well and lasts all day! For the price this stuff is AMAZING! I have used so many different products to cover my circles and spots, thinking I would never find one.. but this is my daily saver, I now loveeee doing my makeup in the mornings! And never have to touch up! Whilst watching a NYX makeup tutorial on YouTube, I decided to try this brand. The concealer she wore looked amazing so bought one in the beige shade. I can honestly say this brand is amazing and the concealer is really great! Very happy, thanks. Wrong colour for me but overall not bad for the price! This is the first liquid concealer I have ever used and I have to say for the price its really not bad at all! I personally didn't order the right colour for me ( waaay too pale! rookie error!) but used as a base for eyeshadow when set with powder, it did do a pretty good job! I wore it for a full day and it didn't wrinkle or crease so its good in my books. Considering it costs less than your average visit to Starbucks, I would buy this again, and if you don't get the shade quite right? Well it's not gonna break the bank so don't panic! Love this concealer. I've had a really bad break out recently and was really struggling with covering it up. I bought it the other day and not only is it cheap as hell but it's also brilliant. It's very pigmented and it's not drying or cakes like most other concealers I've used. It's also not oily or short lasting on my very oily skin. It covers up spots and imperfections like a dream and it lasts all day as well. Highly recommend. It's ok I guess, however, I'm not too sold on the coverage and the shades were a little orange toned for my liking. It's not the worst drugstore product out there though, so it's worth the small amount of money when you are on a budget. This surprised me. I have a variety of high end and drugstore concealers and this is one of my favorites. It is light and blendable with medium coverage and is one of the few that comes in a shade light enough for me (I am usually NC15 in MAC). This is a staple in my collection.